Pros – Superb sound, with enough bass to keep you listening. Mids are among the best I have heard. For it was told ages ago that this area of the US was sacred to the natives (and still is), and to the earliest explorers such as Marquette and others. 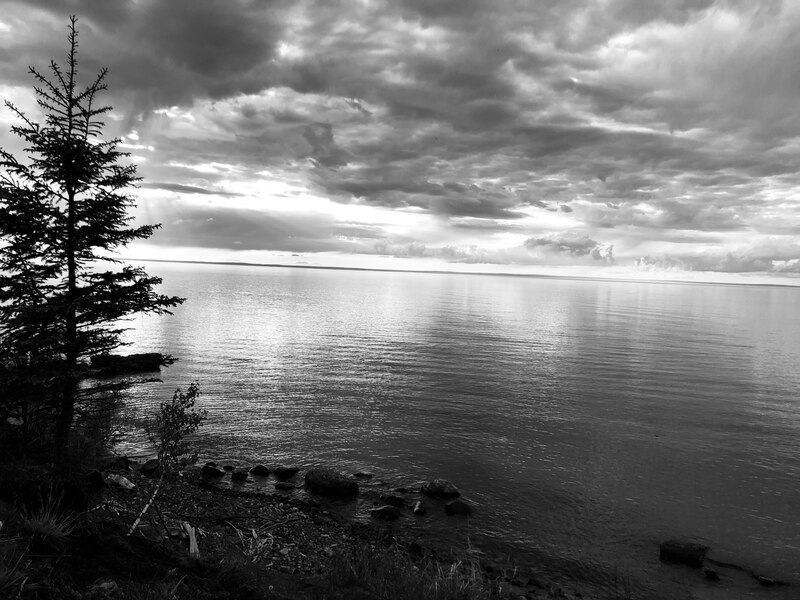 And having lived close while also born up here, I felt that reverence for the “big lake.” Smooth one day, rough and vicious the next, it was this draw of different “moods,” which drew the natives and explorers. One of the harshest places in the lower 48 (and beyond) with which to withstand winter, Superior’s “mentality” cannot be underestimated. But as stated, that moment of clarity came on a ride. Converting old rail lines to trails is a win-win in my book, and one in which we take full advantage when possible. As such, I am often in the mind of some deep thinking (or so I hope…). My thoughts ran deep of the area, the spirits of those gone before me, the Sandhill Crane pair I scared off their nest (thankfully they did not give chase…), and of the Mason V3. Unique Melody (UM) is known for a pleasing sound, while not really harboring a grudge to those who might prefer a “more vibrant” sound. As such, the “Mason V2,” erstwhile known as the Maestro V2 placed in the top five in the recent seminal shootout. The Mason does not disappoint in regard to that vibrant sound. While not on par with what I personally call the “sparkle” of the 64Audio Forte, there is no shyness here for that top end. What I like most about my Maestro is that it does pretty much everything well and does so without fuss (except for a seemingly small lack of bass to me). This seems to be the UM mantra… “No fuss, just listen.” And that continues with the V3. But with added twists to raise the level of sound which can come forth. 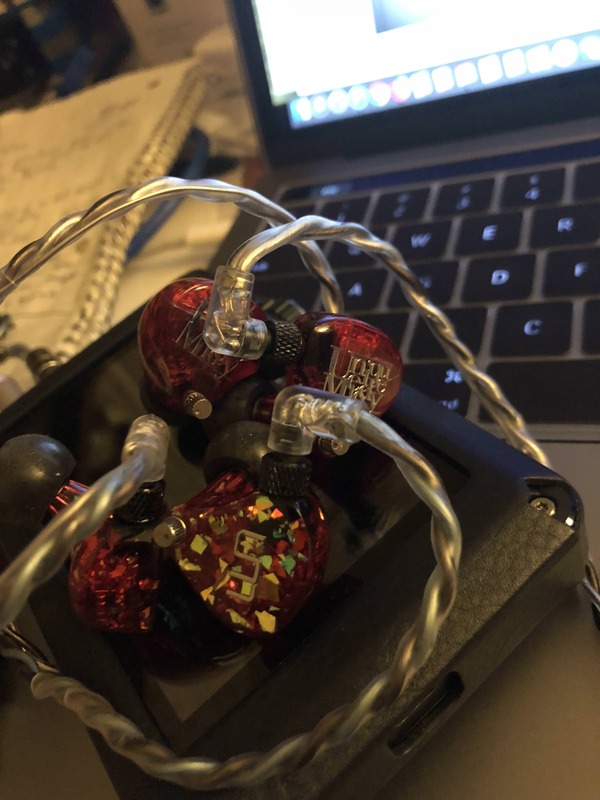 Adding a proprietary dual-tone cable, one need not carry a spare…simply switch sides to go from a more transparent sound to one, which has a bit more sub bass presence, as @Twister6 so thoughtfully mentioned. No, what struck me was how yet again UM had raised THEIR game to match what they wanted to regarding sound. Often companies are fraught with providing what they think customers want in the latest vein…and I do disapprove. Here though, UM has done what they think should be the next “bar raising” of their already excellent TOTL. 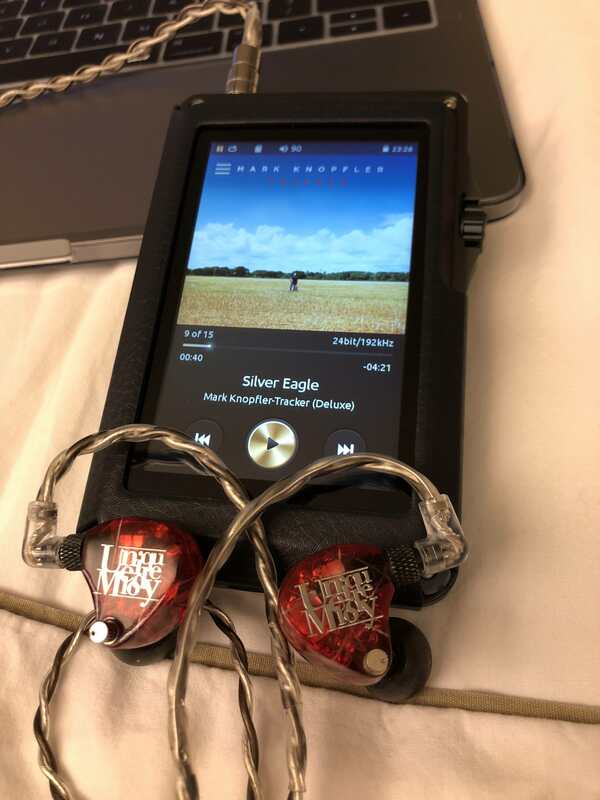 While the 64Audio pair (U18 genre and current U12 pairing) provide a simply exquisite sound, the Mason goes about business focusing on what can be an individual improvement of their TOTL. 64Audio filled in quite well below their TOTL. UM raised their TOTL. And I consider this a worthy addition to any TOTL discussion. I was struck by the thoughts of how well the Mason provides the listener with on-the-fly tuning options (dB-go bass port tuning). It was almost like when Mel Gibson in Mad Max pushes the Nitro button…you had better hold on. But, this is not that dramatic. Here, a switch of that screw-in cable will provide a bit more bass (which I appreciate) or transparency as mentioned. And if that isn’t enough, the ports on the back are tunable to fully closed (more sub bass, turn BOTH forward as in the way you are looking), or fully open (more “breathability” and hence less sub bass, turn BOTH towards your back). I could even tell a bit of depth difference between closed (more) and open (less). I thought about how this trickery might not be appreciated by some, and well thought of by others. Count me in for the later, except that I cannot use some of my other excellent cables as a result. So, as I rode the miles, I fostered an appreciation of the forested ride. While occasionally hearing Superior in the background, I also understood that this path was the UM path. One of choices along the side, from bog to river, to wetland to forest…but not of differing quality. Only of differing characteristics. I appreciated UM’s want to upgrade an already stellar unit, with what they thought would be improvements. And, it has been an improvement. Included accessories are of typical UM fare: several sets of Comply and UM’s own proprietary foam tips, an interesting warranty card, which looks like a credit card but flips a USB connection out FOR the manual, cleaning cloth and cleaning pick. Sparse, but I have found that they include just enough. Many listeners at this level tip roll anyway. That said, I find myself using either the UM foams or Comply’s exclusively on most of my IEM’s. Fit and finish of the Mason is as I hoped of an UM product…exemplary and darn near perfect. The transparent red (with accented lines) is not prone to fingerprints, unlike black colors, and the 3D printing of the IEM is pretty much flawless. While the nozzle itself is of a larger size, and longer in length than I am accustomed to, once one adjusts the overall fit is very good. Not the best in my mind, like 64Audio to me, but very good. Throw in that many here might go the custom route so the point becomes moot. I could also see the aluminum threads being a weak point with repeated on/off of the cable, because in order to store the IEM in that fabulous titanium case, it is best to disconnect the cable so…over and over repeated screwing of the cable to the IEM could produce quickly worn threads…I have not experienced that but do see the first sign of wear…Make a slightly larger diameter case or screw-on lid, and the issue again becomes moot. Lately I have been listening to “new for me” music, such as Mark Knopfler’s excellent 2015 Tracker album, as well as Damien Marley’s superb Stony Hill. As such, there is a diversity of music present in which to keep my ears occupied, as well as my mind in deciphering the sound characteristics. Take for example Damien’s So A Child May Follow. An excellent guitar line lays down a mid sound, which begs to be played over and over (and it is/was). The piano at the beginning is supported by the electronics and bass guitar quite well. Running into Marley’s mid-to-upper mid vocals, the sensation is of completeness. No sound is want for attention, nor forgotten. As the bass guitar plays through the vocals and acoustic guitar, the piano comes in at the right time, and in the right place to tie the whole song and sound together. This is sound worthy of a long listening session, as well as repeats of your favorite songs. Instrumentation is in all the right places. One would hope this be the case, and one would not be disappointed. Separation as a result is quite good and easy to pick out. Accuracy is a verb, which comes to mind here. Sound stage is indeed very acceptable. Wider than high there is good depth to accompany the other dimensions. While not a fantastically huge sound stage, one would certainly not call it intimate. I call it above average wide. Good height dos accompany that width, and I consider it higher than average. This is covered though by the width. As such, the height aides in instrument layering. Clear and concise, that layering is easy to pick out. 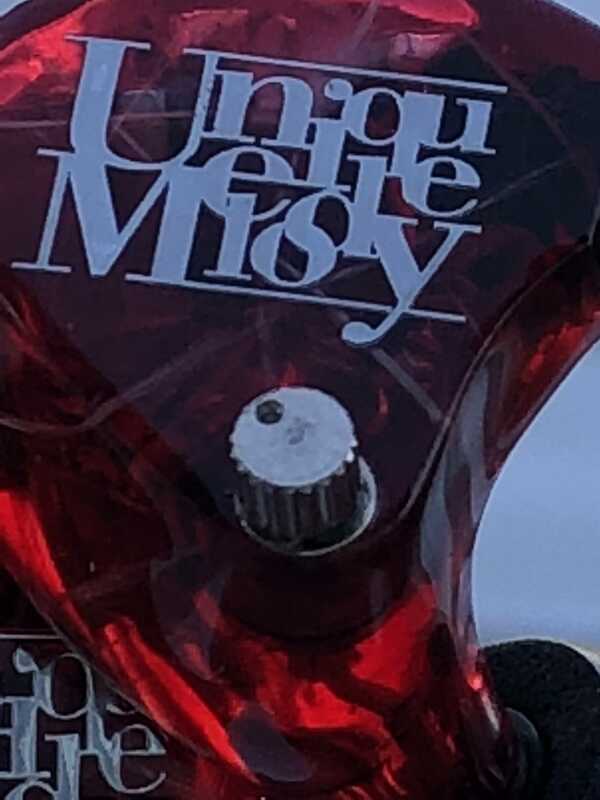 Bass quality: Of the Unique Melody IEM’s I have heard, not one could be called either a “bass monster” or of that bass depth equivalent to the 64Audio U18t, dedicated bass-slant u8 or other bass-oriented IEM.. While the bass does fall behind 64Audio’s interpretation it is not unacceptably weak. Coming on when needed, retreating to the back when not, it is a solid sub bass-oriented sound, especially when the port is fully closed. With the port open, I do hear more air between the sounds and to me can be construed as having “less” bass. Running the port closed for the majority of time, I found the bass very adequate, tying nicely to the mids above. 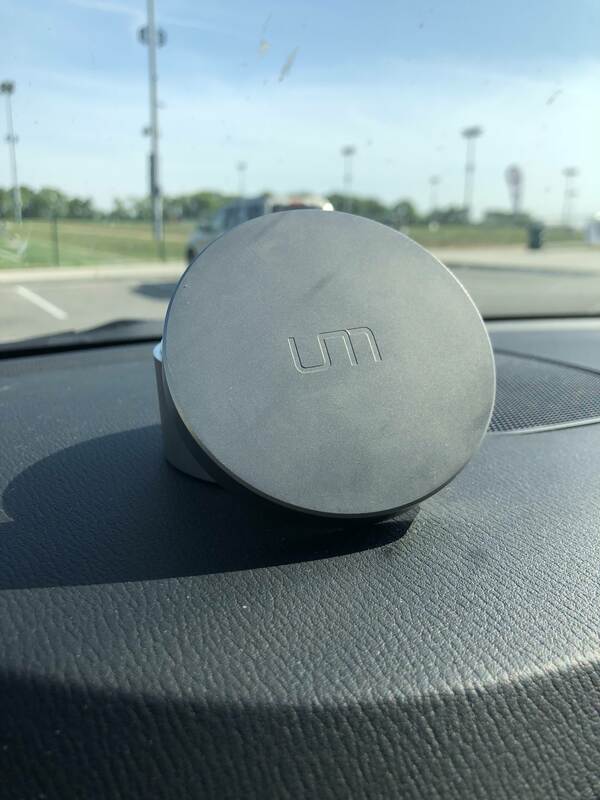 This is the first time I can say that about an UM product…This is good. Mids: This is always the most daunting set of sounds for me to quantify. But when listening to songs such as Damien Marley’s Perfect Picture, my job is easier. Vocals here from Damien and Stephen Marley are easily distinguishable from the lower bass notes and treble clash of snare and cymbals. Clear and precise the mids present a solid mold of what one might consider the UM “house sound.” To me, a musical and presentable mid-forward sound typifies the UM sound. Not overly bright, but still forward the mids present a picture of taking the lead in a solid manner and not relinquishing it as they guide one down the UM musical path. The pluck of string falls behind in support, as it should most certainly guided by those forward-based mids. One would be silly to think that this is a mid-forward based IEM, though. No, here the mids simply present the path on which the rest follow. This is not a forward-in-your-face IEM. No, it is one of presentation quality. One where there is a natural or organic sound to the mids. This is not an IEM where there is an artificiality. It is honest, slightly warm and natural. This pretty much defines my type of sound and my top quality in a mid-sound from said IEM. Much is made when another TOTL comes out…many (most?) want an immediate, “which is better and why” response. To me this kind of comparison only feeds the frenzy of ever increasing driver count and cost. Within the last two years alone what could be considered TOTL has pretty much doubled in price. This has even occurred for UM as the Maestro V2 ($1699) and Mason V3 ($2699) fall into that category. While maybe not officially recognized as a replacement for the Maestro (it actually is…), it is an obvious one due to the reference of the Maestro being the Mason in numerous communique as well as the UM website. As such, the cost has indeed increased markedly. What one gets, though is more drivers, “better” tuning, and adaptability (due to the cable/connection and bass port). Whether this warrants one to replace their TOTL or not is purely a personal decision and should be taken seriously. UM Mason V3 vs 64Audio U12T/tia Trio ($2000/$2300): Again, from memory, this is an almost less than fair comparison, since the “new” U12T/tia Trio pairing is more in tune with the Mentor V3 (hint, hint…that comparison will come…). But when one gets into this vaunted territory, one likes to know at what point (price and sound) at which they should stop. This is a case where I liked the more expensive tia Trio (as opposed to the “less expensive” U18T v Forte…). The bass presentation of the tia was simply superb. Tight, semi-hard hitting and of good punch it was not to be taken lightly. Add in that this is the next step below the TOTL, and 64Audio is to be commended, they really are. With a very good sound stage the 64Audio pair are almost on par with the Mason V3, but not quite. Taller and a bit deeper, the spatial recognition presented by the Mason gives one a sense of better volume; and it does have more volume of sound. The Mason provides more clarity, too. There is no hiding a subpar recording, or source. The term “crystal clear” is thrown about a bit, and I am loath to even mention that term, but clear and transparent would be an apt description for the Mason versus the 64-pairing. While I still really like that pair, here is where the Mason separates itself. There is no hiding that the harmonica of Charlie Musselwhite supports Ben Harper perfectly on their combined No Mercy in This Land album. A superb album of two musicians from different generations; but of one soul. Harkening back to a simpler day, this album represents a bridge between two worlds old and new; and here is where the Mason is that bridge to the future technology UM would like to put forward. The 64-pair while quite excellent, are like the little brothers who get the “hand me down” technology from the older sibling(s). And you know what? That in itself is very, VERY good, but not really the direction (at least I think so) I believe 64Audio is going in the future…They provide a new critter to a lineup stock full of excellent pairings (I do so love my U8), where the Mason provides the roadmap on which UM will build. And it is good, very, very good. So, in this regard one must decide whether you want the next step up from the “older” 64Audio pairings, using the tech from above; or the whole new ballgame. Personally, I would take either as I love both brands sound; but here the Mason clearly separates itself with that clear crisp sound. And don’t get me wrong…it can rumble the blues with the best. Ben & Charlie would agree. I will admit that the “best sound” for me came from the Opus #2/Mason pairing. It is my reference and will be until…well for a good long time. Superb detail retrieval highlighted the transparent sound wrought by the combo. While slightly thin to me, this is the sound of which I imagine reference material consists. The singing of angels, indeed. With enough bass to keep one interested, the sound was sublime in presentation and one of very little error. No coloration, no “Ooohhh! This sounds WARMY!” No analytical sound, it just sounded right. This would be the baseline by which other sound is judged, and in that vein, it is good, nay excellent. 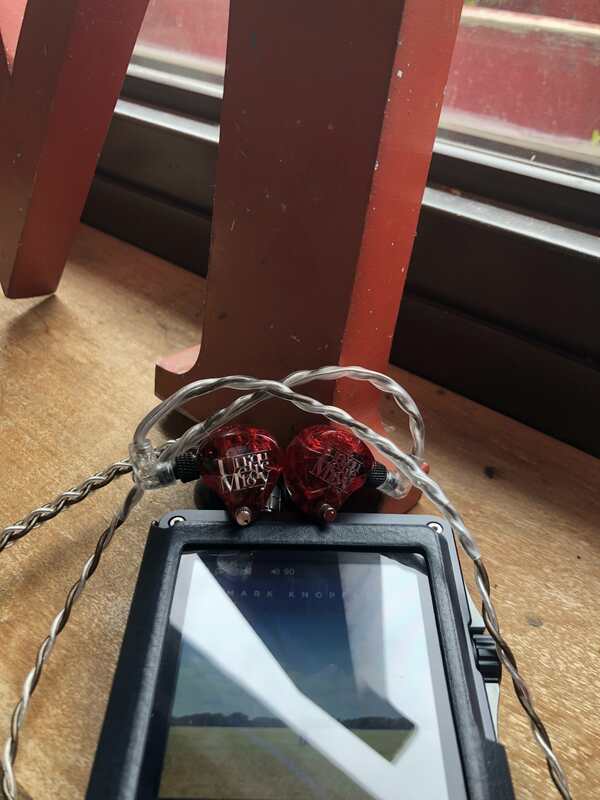 As for the Shanling M5/Mason pair, all I can say is holy buckets. If the above was reference, then this pair kicked that sound to the curb and gave it a soul lesson. As the Shanling is warm (not, oooh!!! Warmy!) by nature, that added to the Mason giving what was lacked some added verve. With more energy and taming that reference sound to more of what I liked, this was absolutely my favorite pairing. I have come home to the M5 as of recently, and regret that it had fallen so far down my order…it really is still a superb player. This pair would be that perfectly complimentary pairing where each “shortcoming” is lifted up by the other. Adding transparency to the M5 wroughts the missing detail (really there isn’t that much missing). Adding to the Mason that missing grit of bass, heightens my appreciation. A fabulous combination of which neither should be ashamed. In that same regard, the Shanling M3s/Mason provided an “up to date” sound from Shanling. Little brother wants to play in the big leagues, and here is where the Mason brings up the “lesser” DAP. Again, that added warmth of the M3s is very welcomed, while detail retrieval is much appreciated. The M3s is my go to workout DAP, and as such I do not mind its shortcomings. Throw on the Mason and those shortcomings are not missed. Although one would be silly to workout with the Mason (no…I didn’t do it, either…). Since this is a World Cup year, we always get surprises…Russia knocking off Spain, the stellar goalkeeping in the Croatia v Denmark round of 16 match, and sublime goals/passes/saves all throughout. 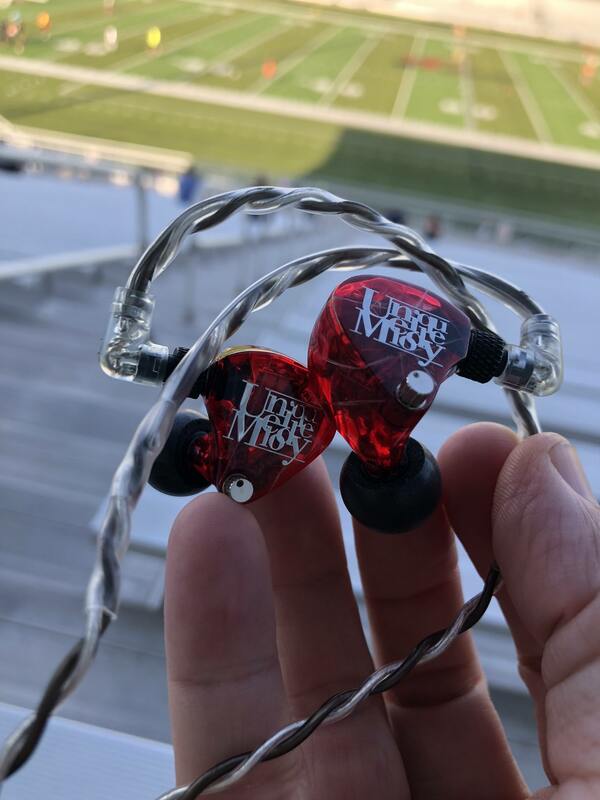 I love Futbol (soccer), and I love the fact that I have had the honor of listening to some simply outstanding IEM’s over the last year. Each seemed worthy of inclusion into my humble abode on their own and OF their own. But, it also seemed that each time the bar was raised (and price…egad…). More drivers, different materials, higher price (did I mention price?…) and other such items as replaceable cables as the UM pairing is equipped. 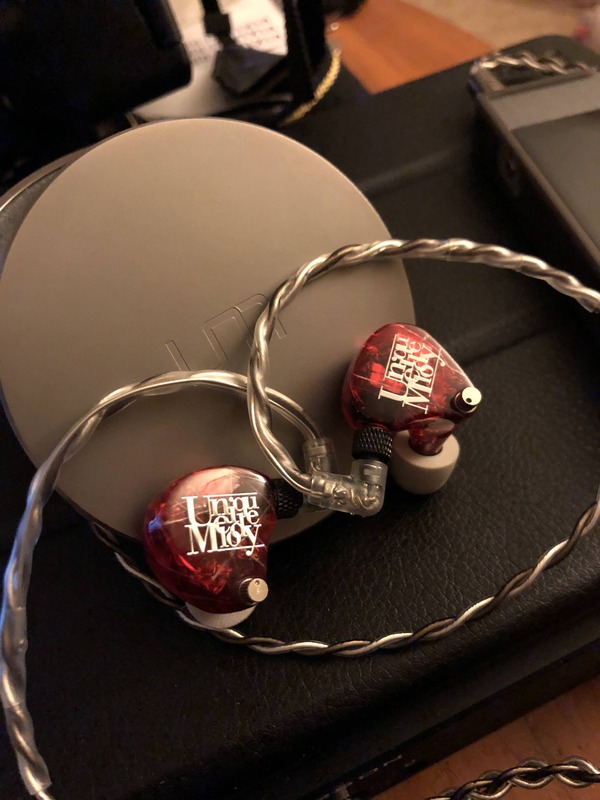 I get why they did it…kill two birds with one stone…simply switch sides and you go from clear transparent airy sound, to better bass, with a little less control of the mids and treble (OK in my book). Throw in that you can then adjust the vent on the fly and you are left with four distinct possibilities for sound. Need more air? Rotate the vents towards your back for an open sound (I just did it on the aforementioned Charlie/Ben album and the sound opened up to that bar-like blues sound. Closed, and you move closer to the stage and the bass…the late at night “last call” sound. Almost mournful, but soulful at the same time, and you are getting to the roots. Roots of our musical soul, and what Unique Melody are trying to accomplish. I don’t get to listen to my Maestro’s very much due to other obligations, but when I do I can clearly see and feel the tie between them and the Mason. Comparing the three (Mentor, too) is a rare treat of seeing the lineage firsthand. I am looking at the black and white photo of the Maestro and the digital selfie on Snapchat of the other two. That soulfulness is still there, though. The Maestro would be the grandfather who taught the kid how to play the dobro. The kids would be the Mason, and not only has better talent (good genes) but does so in that most respectful manner of harkening back to grandfather and his soul. The Mentor would be the slightly untamed one, or so you think. Then you hear it, and know it was a cover of the biggest ruse. While I still have reservations about switching the cable often (and pretty much every time you need to store them in the titanium case) to change the sound, something can be said for not having to purchase other cables (albeit for the plug). This is ingenuity UM-style. Add in the bass tuning port, and I do see where they are going. I personally like the bass port tunability more. I am slightly cautious about repeated activity with the cable. Add in that it isn’t the supplest of cables and you have the downfall. As mentioned earlier the fit took me a good day-and-a-half to get right. But once one gets into this “vaunted” range of TOTL most opt for the custom (not me, I like the universal varieties) one usually puts up with a couple of peculiarities. Think Jaguar XK series, or Lamborghini Countach and how bloody hot the cars ran with an AC which was laughable at best, and you get it. So, would I purchase the Mason V3 if funds were afforded? Well…that is a question best left for the conclusion of the Mentor review. Needless to say, I would recommend a deep long listen with many genres for the Mason. I finish this listening through my MBP and the excellent Burson Play of many, many blues songs. And it is good. I want to thank @cotineyejoe and @UniqueMelody for the tremendous opportunity in doing this tour. It is through generous offers such as these that we may not otherwise audition such fine wares…and they are truly exceptional.